Fraud? Did she say Fraud? I love the fact that FINRA has created a set of tools to help you, and me, find fraud and fight it. FINRA provides a set of tools and explanations as part of its campaign to protect investors. The idea is simple. If you know more, you will be able to fight off fraudsters. So take a look at this site. And if you are brave, check out the thing they call the “fraud meter.” It measures how susceptible you are to fraud. Go ahead and take the test. Now, if this teaches you something, share it with your friends. Host a party and show a video that helps you and your friends protect yourselves from con artists. This show aired on PBS, so it is a good one. And you can get it for free. So start popping the popcorn and dust off your couch. And get your friends in to watch the show. Then discuss the issues among yourselves. Oh, and tell them Hot Flash Financial sent you. Let’s start a new “tradition.” (Humor me. I was trained as an anthropologist. We anthropologists love rituals.) Let’s call it a Hot Flash Financial Tradition. What is this tradition? First it, is a ritual that occurs around new years. How do you do it? Every year, you revise your List of Assets to reflect the December 31, 2012 balances. After you have the year end balances, you add up the total. 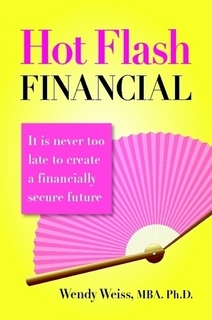 Then do the really smart, Hot Flash Financial thing– Celebrate what you did right. And use your new List of Assets to make some decisions to improve your financial security next year. If you have not developed your own personal List of Assets, create your first one today. (Go to the Tools Tab and select List of Assets.) You take the same steps as someone who has a List of Assets. Here are the steps you can use to follow the ritual. Go on-line to access every one of your retirement accounts, as well as investment and savings accounts. 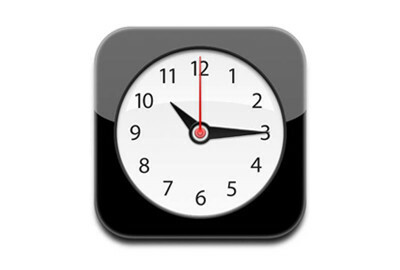 If you already created your list of assets, add a column and mark it December 31, 2012. Input the dollar values for the last day of the year for every one of your account balances. Then add the dollar values all up to get a Total. Now, do what comes naturally. Find out if your retirement account balances are higher than last year. The next part of the Hot Flash Financial Tradition is crucial: figure out what you did right! Also figure out what needs to be improved. If you added more money to your retirement accounts, the total should be higher. This is the most fun of this ritual. Pat yourself on the back and celebrate what you did right!!!!! If you added money to your retirement account, but the increase did not meet your expectations, figure out why. Did you add enough money to your retirement account to make the total budge? Are there other reasons for the shortfall in your expectations about your retirement account balances, and your overall Hot Flash Stash of Cash? Did you decide to save for the future, but you deposited that money into a savings account instead of your retirement investment account(s)? A savings account probably gave you about 1% return in 2012 By contrast, the stock market gave about 10%-13% in the same year. Did you make the right decision, saving in a savings account rather than a retirement account? What will you do in the next 12 months? Invest in your retirement account or in a savings account? Savings accounts are nice. They reduce the risk that you will lose the money you deposited. But remember there is a “risk-return” trade off. If you take on more risk–investing in the stock market, you are likely to get more return. (In this case, the return in 2012 [and most years] would have been positive, although the market did move up and down a lot during the year. While the dollar amounts fluctuated, over the long term, in this case a year, you were ahead.) If you take less risk–investing in a savings account–you are likely to get a lower return. Lower risk is often correlated (as we say in the biz) with lower return. Your handy- dandy List of Assets becomes a really important reference point. It also enables you, no actually empowers you to make some important decisions and improve your financial security. Your decisions can increase the number of things you do that are right over the next few years. So you can celebrate more. After celebrating, take a closer look at your List of Assets to figure out what you can do to increase your own, personal financial security in the coming 12 months. Since we can’t shut up, we will suggest you do 2 things. Increase the amount of money you deposit in your retirement account. Increase it by 1%. And, if you can, work toward increasing your contributions, over the next year or 2 or 3, to deposit the maximum legally allowed. Decide if you are comfortable with a bit more risk. If so, invest a greater portion of your retirement savings in the stock and bond markets, for the long term. If not, stick with savings accounts. Make this Hot Flash Financial tradition, your tradition every first week in January. That way, you have more control. You have the knowledge of what you have done well. And you can take the steps you need to take to improve your financial security over the long term. Here at Hot Flash, we love New Years Resolutions. Allow us to suggest one for 2013- Live within your means. Or, since we are entering a year that ends in unlucky 13, we can rephrase this resolution in terms of luck. So what does that really imply? You must be thinking…… that is so………….un-American…..so impossible. If you start to develop the skill of living within your means, you will have a more sustainable life style. That is probably not such a bad idea, given the fact that you are likely to live longer than your parents. So how about it? Resolve to live “within your means.” Test yourself, and see how you do. Here’s a short take home quiz. Find it if you can you live within your means, at least as long as you followed your diet last year? Or as long as you committed yourself to exercise every day? Now, this in Hot Flash Financial talking to you. S0 if you try, and find out that you are not exactly perfect, use laughter as a weapon. Tell us your funny story. Share it with us at hotflashfinancial@gmail.com. That way you can join us–Hot Flash Mamas–as we imperfectly march toward the next phase in our lives. Do you have a sense of humor? Do your friends? Do your friends have a sense of humor about their own behavior? Well, here is a new sweepstakes with a great idea, Help your friends. That is, help one of your friends who has some trouble with her/his finances, especially spending. Now, the page introducing “Help a friend” clarifies that we all make mistakes and waste money. But, the one you “help” would merit, as they say,” an Olympian gold medal in money squandering.” So, the argument on the site goes, do your friend a favor and enter this friend into this sweepstakes. (At the same time you enter yourself into the sweepstakes). If you win, you get…… money. There are videos associated with this program, and they tend to feature young, college age folks discussing the varied ways they spend money on “stuff” –memorial swords that are probably plastic, ugly designer jeans, myriad internet purchases, parties, taking a girlfriend to the “Jersey Shore” …………You get the point. I did receive an email. The email is well worded and raises some really good issues to consider. When I clicked on the link, I was really pleased with the quiz that you can can take. It raises “your consciousness” on some spending habits that can be problematic. The site itself has wonderful tools, such as calculators that help you budget, pay off debt, etc. Now, I am a big great fan of NEFE—the National Endowment for Financial Education that created the site, and the Help a Friend sweepstakes. And I am a great fan of using humor to make a point. And this Help A Friend Campaign uses humor to accomplish an important goal, help friends who waste money. What I don’t know, is how my friends would respond. I mean, how would this work with “women of a certain age and distinction?” Would my friends be offended if I entered them into this sweepstakes? Or would they take it in stride, see that you can use humor to make some important points, and change your behavior? You are probably going to hear a lot about Social Security in the run-up to the next election. Each party will be talking about what are sometimes called “Entitlements.” It is important for you, as a woman “of a certain age and distinction,” to know who really supports specific programs, especially Social Security. Why? Because Social Security is one of the most important sources of money for women after age 65. Really? Yes. Because women live so much longer than men. So we rely on Social Security (and Medicare) for a greater number of years and a greater number of dollars. As we women age, a bigger and bigger portion of our monthly income comes from Social Security! How much do we rely on Social Security? Well, we have some figures for you. Women are who 65 and older, get more than half (or 58%) of their income from Social Security. And, as we get older, and spend down the money we had saved for retirement, we increasingly rely on Social Security for all or nearly all (90%) of the money we use to buy food, pay for housing, etc. By the time you pass your 80th birthday, many (38% ) of you will be completely or nearly completely (90%) reliant on Social Security. So now you have to know the facts about Social Security. You have to know if Social Security will be there for you, your sisters, and your children. So start here, and then click on this link Social Security. Remember, you have to think long and hard about a candidate and his stand on Social Security and other “Entitlements” So when you decide to vote for your representative in Congress, in the Senate, and for the President, make sure you vote for someone who will continue to support Social Security and so older women. Cut through the “stuff ” on those political commercials. Make sure you check out the truth about past voting behavior, key proposals (like budget proposals) made by each candidate, and cross-check with an independent fact checker. Why? If you, or your sister or best friend, is one of the women who will rely on Social Security for 58% of her income from age 65 on through the rest of your life, you need to vote to make sure every candidate who has your backing will support Social Security.